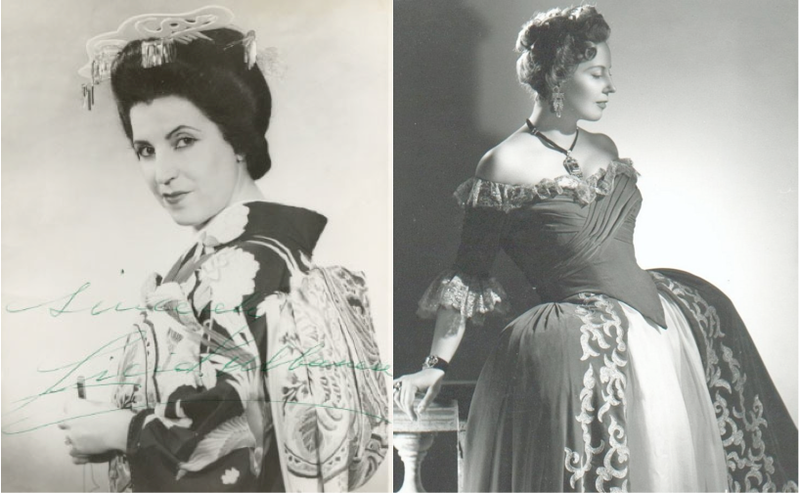 Two very great Italian sopranos – Licia Albanese, and Magda Olivero – died within the last few weeks. In the wake of several recent, very unexpected celebrity deaths, it won’t be surprising if you didn’t hear the news. The two weren’t superstars to the world at large (perhaps not even to the opera world, at least not in recent decades). And no one could describe this as untimely – Albanese was probably 105 (there’s some disagreement about her birth date); Olivero was 104. But when I finally found my way to them, it was a revelation. Both Albanese and Olivero made a specialty of the Verismo school – Puccini, certainly, but also (for Olivero, especially) Mascagni, Cilea, et al. To these operas – in some ways, the equivalent of Naturalism in the theater – they brought unparalleled commitment, dramatic honesty, and a vivid sense of storytelling. The older generation of opera lovers I knew would sometimes tear up describing Licia’s Butterfly, or Magda’s Tosca. Though I didn’t have the privilege of seeing either sing in person, their recorded performances have such a sense of life that I feel almost as if I did. Both had a special quality, simultaneously fragile yet vibrant (the Italian’s call it “morbidezza”) that really registers.